The 12-year-old took notice, as she had lost her grandfather, grandmother, and a favorite dog to the disease. 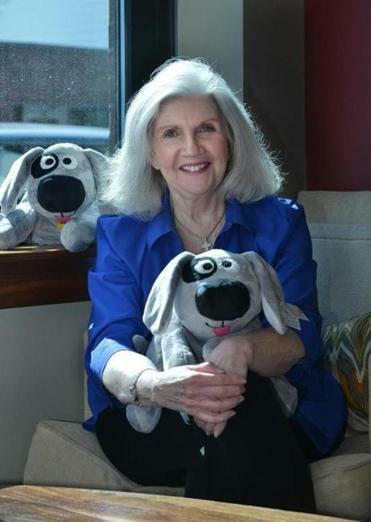 By the next year, 2007, Trouble the Dog (troublethedog.net) was the subject of a children’s book written by Duncan and a soft plush toy, with big eyes and floppy ears. Since then, Duncan, 63, of Marblehead, has donated thousands of toys to children and families going through difficult times. She took a truckload to Newtown, Conn., after the tragic school shootings. She donated them to victims of the Boston Marathon bombing. They’ve been given to children’s hospitals, homeless shelters, nursing homes, and injured veterans. She said Trouble, made in the United States, has soothed people throughout the country and the world. Now, she is expanding her reach to even more children and families through the KenneK Foundation, launched last week. The foundation is named in honor of her father, the late Kenny Duncan, who owned Maddie’s Sail Loft restaurant in Marblehead. “My father was truly a generous spirit,” she said. “He was an old-school philanthropist who would give anyone the shirt off his back. “I felt compelled to launch the KenneK Foundation because so many families have reached out to me, sharing their personal stories about the immediate comfort Trouble the Dog has given to their child,” Duncan said. “And, from families we have helped through difficult times.